French chemist Bernard Courtois accidentally discovers the mineral iodine. Eight years later, Swiss physician Dr. Jean Francois Condet discovers that iodine in foods is vital to the proper functioning of the thyroid gland, which manages growth and metabolism. Iodine deficiency causes goiter. 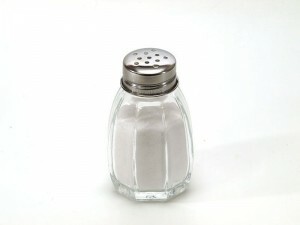 Beginning in 1924, the U.S. government requests that small amounts of iodine be added to table salt.